In November 2016, Google officially announced that they are implementing a mobile-first index. Essentially, this means that the Google crawler will process the mobile version of your website rather than the desktop. The reason behind this change is clear: searches on mobile have exceeded desktop – and since Google tries to provide a better experience to mobile users this change will help. The most interesting aspect of this change is that your mobile site will impact the ranking of your desktop site. How should I approach the change? As Google will crawl your website using a mobile agent it is important to find out what it discovers. Google webmaster provides a feature known as “Fetch as Google“. With this tool, you can crawl your website using Google Mobile agent and find out what it discovers. This is extremely handy as you do not want to hide highly optimized content from Google Mobile. Keep track of crawl errors on your mobile site. Crawl errors can be discovered on the webmaster crawl error page. If you are finding more 404 error pages on your mobile version than desktop try to resolve them as soon as possible. 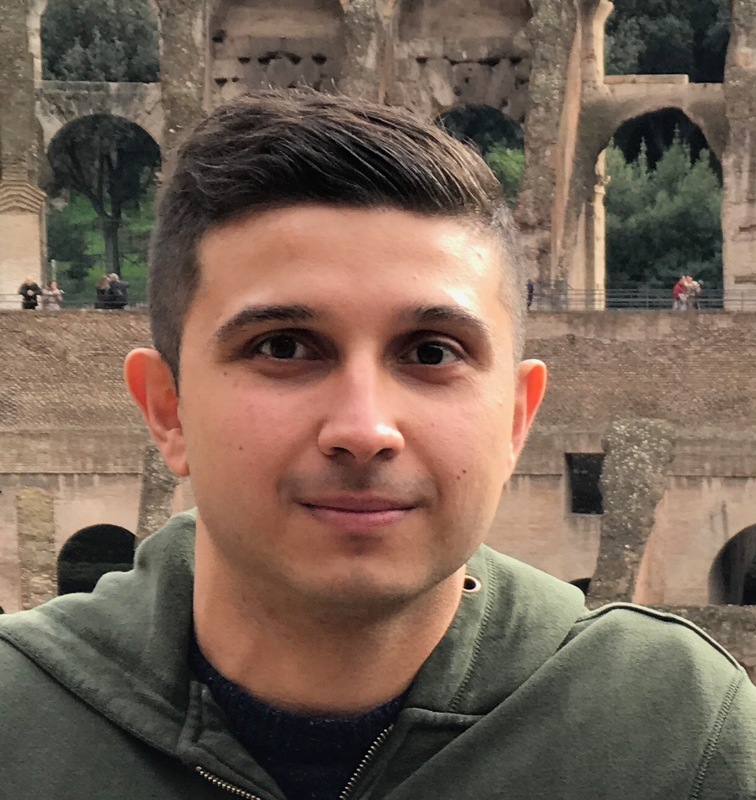 Set up position tracking of your landing pages using Semrush. SEMRush tracks your website positions on Google search results and notifies you if a change has happened. It is an extremely helpful tool considering the recent changes to Google’s search algorithm. Structured data helps crawlers to understand your website HTML code better. As the markup of your mobile and desktop version is different, you do not want Google to rank them differently. This is why you would need to implement structured data. In order to add structured data to your website, you need to make HTML modifications. Before rolling out structured data make sure it is valid using Google’s testing tool . Google recommends JSON format as it is easily parseable. One thing Google dislikes is slow loading websites. Even if your desktop version loads faster than your mobile site, Google will use the speed factor of the mobile site rather than the desktop. You can find out your website loading speed from Google’s mobile point of view through Google Analytics. As mobile websites have less content than desktop, it’s challenging to have the same content or links across both versions. 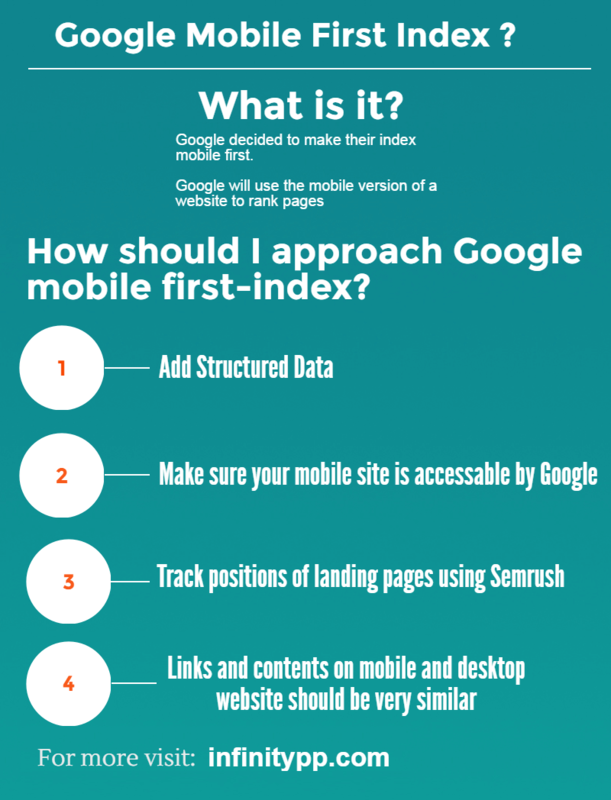 But, since Google has announced a mobile-first index, you need to ensure that the content and links are very similar across both versions. This will alleviate the risk of having a negative impact on your site ranking. Look into making your website responsive. We hope you like our tips. If you think we have missed out any important tips please leave your recommendations in the comment box below so we could add to this list.